You can’t lose with a big bowl of this Homemade Taco Snack Mix at your next game day party! Any football fans out there? We’re celebrating a huge event in the Twin Cities this year: Super Bowl LII! I never knew what a party-like atmosphere the event commands, but Minneapolis is truly rolling out the red carpet for fans. We haven’t scored any tickets to the main event itself, but that’s OK because we’ll enjoy watching it from the comfort of our living room with a big bowl of this Homemade Taco Snack Mix. We typically host a party to watch the big game at our house every year, but this year’s party will be extra special because of the hometown connection. Sure, we could just buy a bag of snack mix from the store but making this Homemade Taco Snack Mix recipe takes hardly any effort plus you can add extra of all your favorite crunchy bites to the mix. And how can you go wrong with taco seasoning? The instructions for this Homemade Taco Snack Mix recipe couldn’t be simpler. Start by pouring some of your favorite munchies in a bowl. 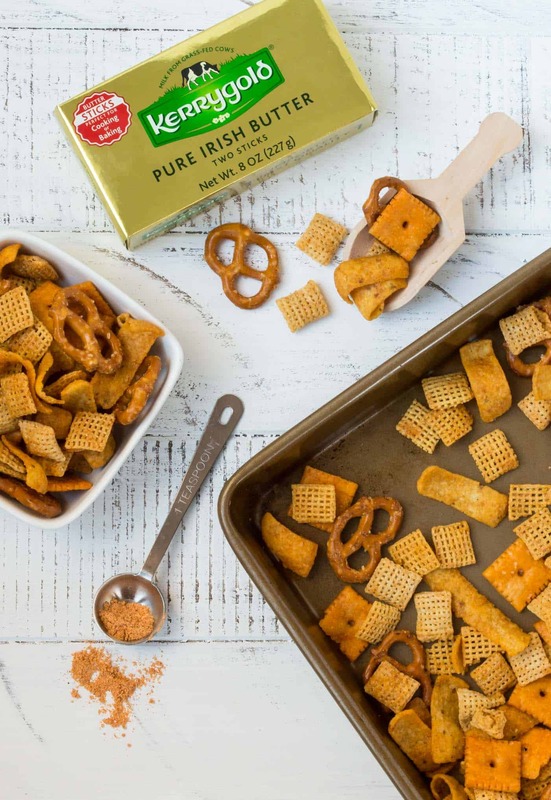 Combine melted Kerrygold Salted Butter with taco seasoning and drizzle over the top of the snacks. Bake for an hour, cool and enjoy. Tip: You can make this Homemade Taco Snack Mix a few days ahead of time and keep it in an airtight container until you’re ready to serve it. While this snack mix is perfect for football games, it’s equally at home during happy hour or even as a fun addition to lunch boxes. However you enjoy it, you might want to make an extra batch as this Homemade Taco Snack Mix scores with any crowd. 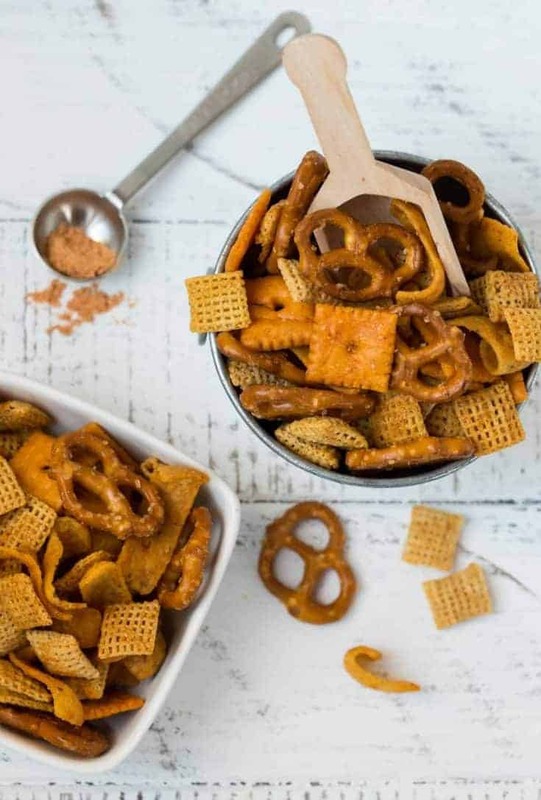 Toss cereal, crackers, pretzels and chips together in a large bowl. Stir together taco seasoning and melted butter. Drizzle mixture over snacks and toss to coat. Divide snack mix on two large rimmed cookie sheets and bake for 1 hour, stirring and rotating pans after 30 minutes. Allow to cool completely before serving.